Before jumping into the importance of local citations for local business, we need to first know what are citations actually. In simple SEO terms, citations are the mentions of your local business on the other websites. The mention here means your business’s name, address, and phone number, etc. Another key point that it may include the link to your site which is not always necessary. For example, Foursquare is a site that helps you to assist and discover the different places around you. And the places found on Foursquare could be your local business as a citation. Yell, Brown Book and Thomson Local are other notable examples of citations. Citations help your business a lot in the local search results. To rank your business higher in search engines such as Google or Bing, citations play an integral role. 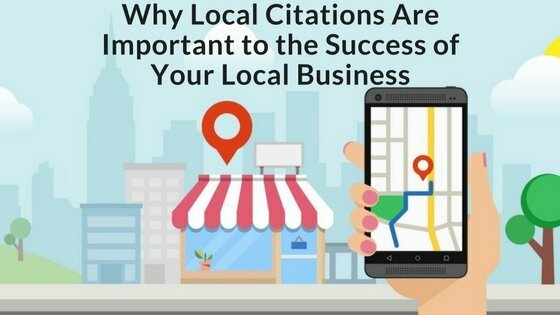 Therefore, the businesses that have the greater number of citations have more chances to rank higher than the businesses with fewer citations. Citations can help you to rank your Google Plus Local map listing by sending Google with the feasible sources regarding your business’s existence and other’s opinions regarding your business. Suppose if Google finds your operating business in any of the local websites it becomes pretty clear that your business operates at those locations and Google shows your business whenever your business is being searched for the product you provide. To take good benefit using local citations you have to set up a Google + Local business page and optimize it well. Also if you have relevant links for your site to other websites, Google ranks your website better in search result pages. This is applicable in the case of traditional organic SEO. However, when it comes to localized SEO, both local citations and hyperlinks matter. Both factors will play the equal role in ranking your Google + Local business page in search results and outranking your competitor’s page. These are the citations found in the business listing sites such as Yellow Pages, Yelp, Superpages,etc. These are the citations are more often put up on blogs, newspapers websites, government and job websites. These citations are more valuable to your website. For example, Facebook, Twitter, Foursquare, YouTube. For example, LeftLion (for local restaurants, bars, and clubs). For example, Trip Advisor, Connecting Dance, etc.